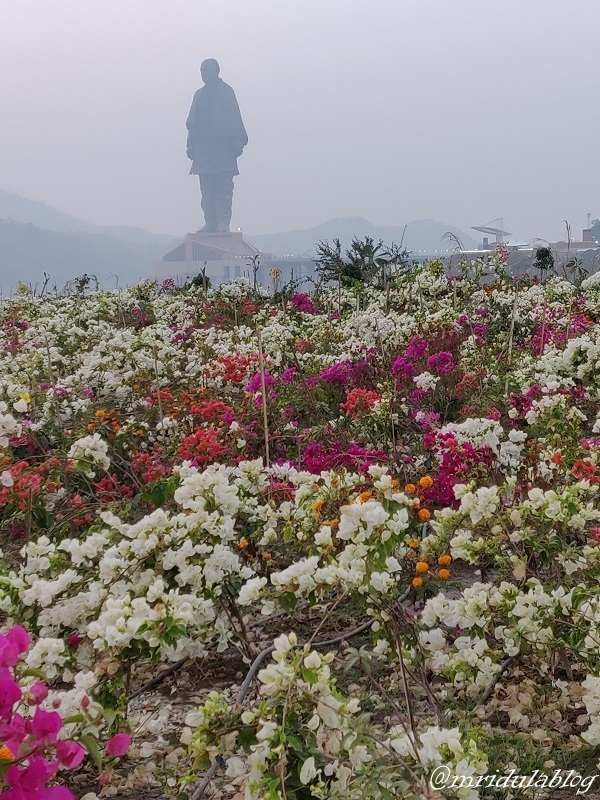 My curiosity was at its peak when I got an opportunity to visit the Statue of Unity, the tallest statue in the world! Would it live up to the hype? Or would I find it underwhelming? I have to say I came back impressed after the visit! I was invited by the Gujarat Tourism Board for a visit to the state during the International Kite Festival in January this year. 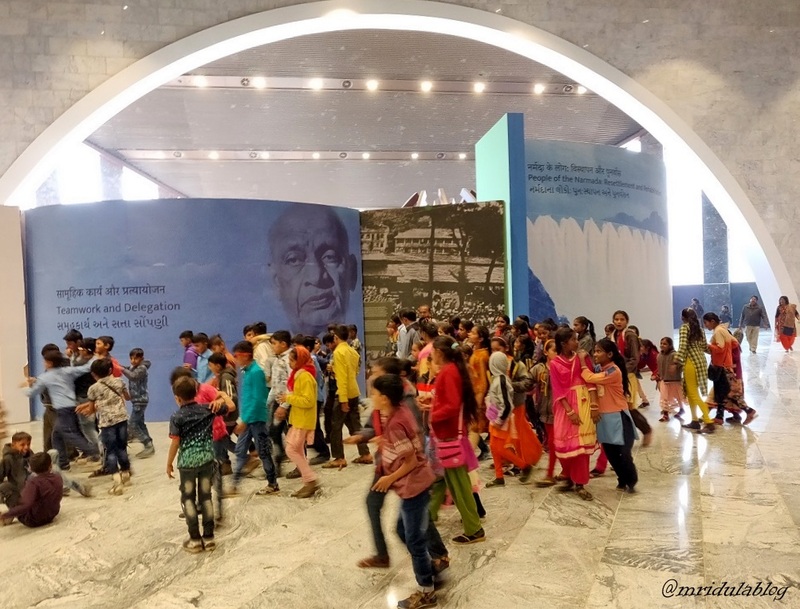 I was lucky to visit the Statue of Unity, dedicated to Sardar Vallabh Bhai Patel during the kite festival as it provides for once in a year kind of photo opportunities! Sardar Patel is credited with bringing forth the political integration of India after independence. The first thing that impressed me was of course the scale of the project. People take a lot of pride in explaining about how the work was completed, the dedication of the people working on it, the technical obstacles and how they were overcome! 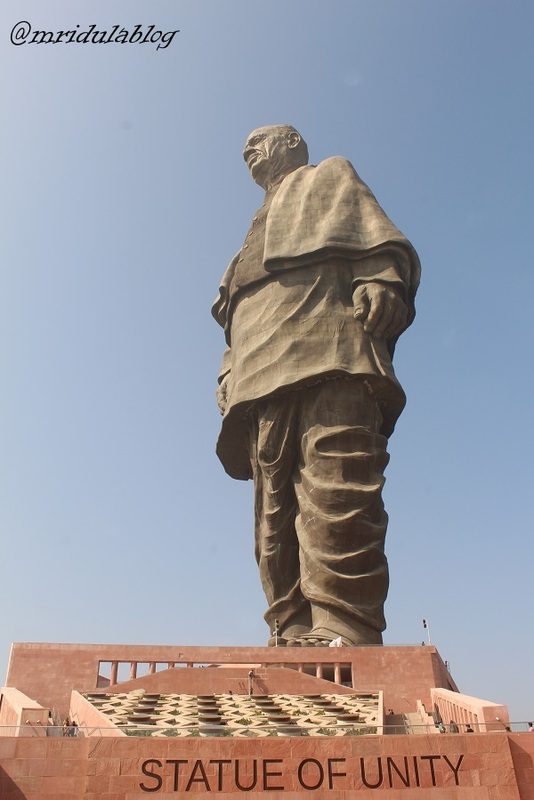 At 182 meters the Sardar’s statue is the tallest in the world! I was dazzled by the infrastructure surrounding the statue. 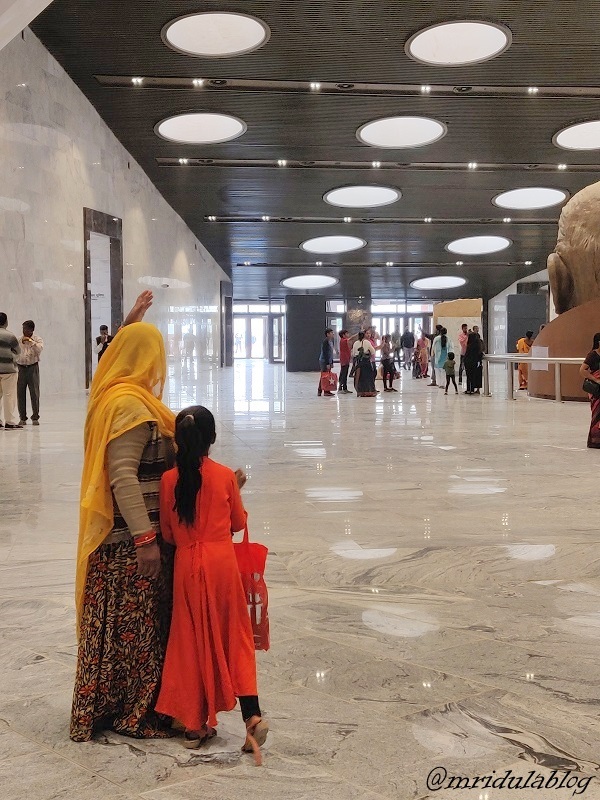 There are escalators, high speed lifts, selfie spots, toilets, cafes and more. 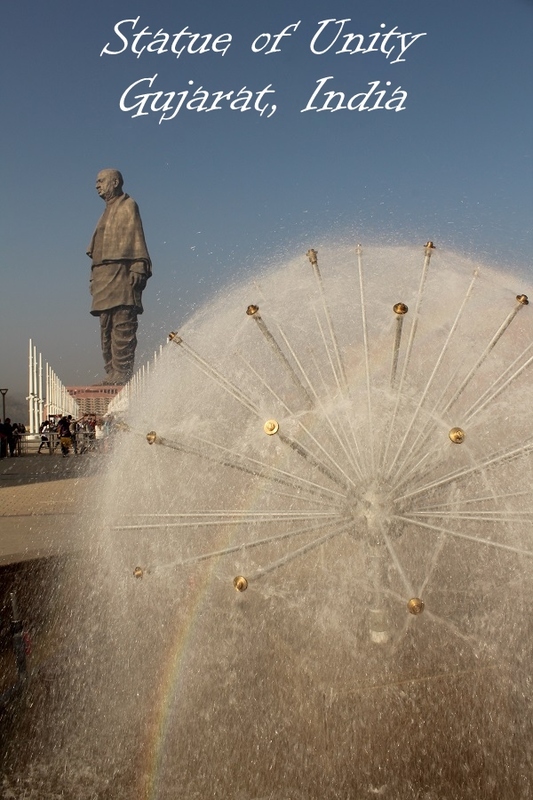 Not only the statue but the whole area has been developed in a way that befits the tallest statue in the world. Many school children visit the dazzling monument. They get to see world class facilities and infrastructure right in their backyard from childhood. I hope they will have higher expectations from the country than the previous generations! I visited the viewing gallery at the 153 meters. 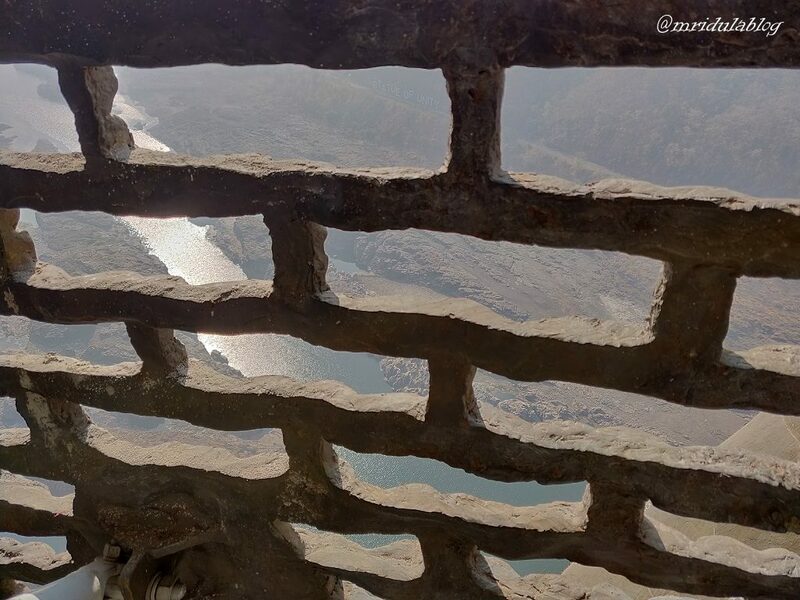 The jalis in the jacket of the statue gives a panoramic view of the Sardar Sarovar dam and the Narmada River. I visited it during the mid day when the sunlight is harsh. The photographer in me wants to visit it around the closing time of 6.00 pm when the light would be so much better! There is a high tech, multimedia museum at the base of the statue. Due to lack of time, I could not spend much time. But it is gleaming and sleek in appearance! Tent City in Kevadia is where I stayed. 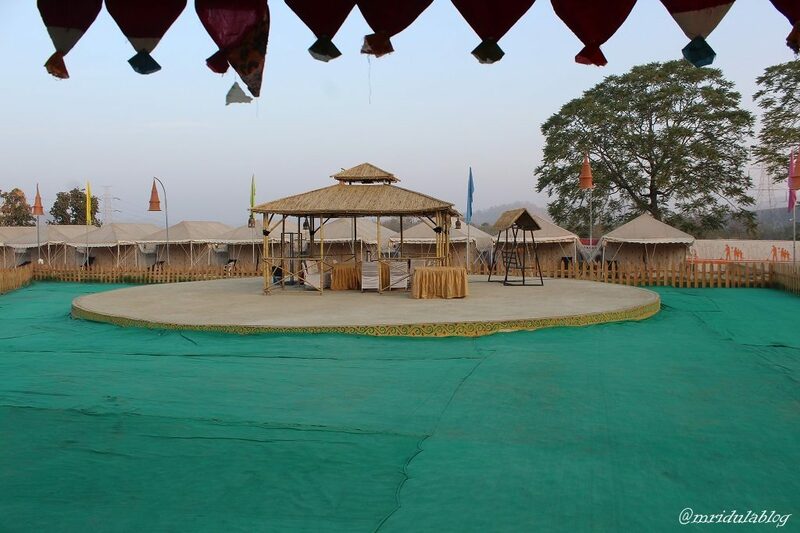 As I have stayed in the Rann of Kutch Tent City too, I was comparing them all the time! I have to stay both have their unique features and provide for a comfortable stay. My group got an opportunity to visit the Valley of Flowers and the Narmada Dam viewing area and both are welcome additions to the trip. Some would say the 3000 crores spent on building the Statue of Unity could have been spent elsewhere. I would say my country has seen bigger scams than this! I am happy to see a wold class project in my own country, I hope the area will benefit because of the project. For functional details like opening times, ticket cost, closed days etc. do visit the official Statue of Unity website.